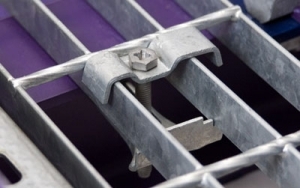 The GRATEFIX™ fastener is used to securely fasten steel, aluminum and fiberglass grating to supporting steelwork. Using only a hexagon key to install, grating can be secured without welding or drilling. 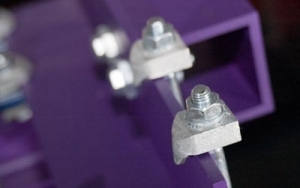 The GRATEFIX™ fastener is designed to be installed from above the grating by one person. No access below the grating is required resulting in a quick and simple installation. The GRATEFIX™ fastener consists of stepped malleable iron or stainless steel bottom casting complete with screw and saddle clip bracket. All items are available galvanized or in grades 304 and 316 stainless steel. The G-Clip GG fastener is a galvanized, carbon steel grating fastener for securing steel grating to existing steel. Hand tools can be used for ease of installation. To install, simply drop the clip in place above the grating, slide the clip toward the beam flange, and tighten the G-Clip fastener using a 7/16? nut driver. Clips are also available in stainless steel for more corrosive environments. The G-Clip GM fastener is a galvanized steel fastener used to mount devices onto the grating surface. 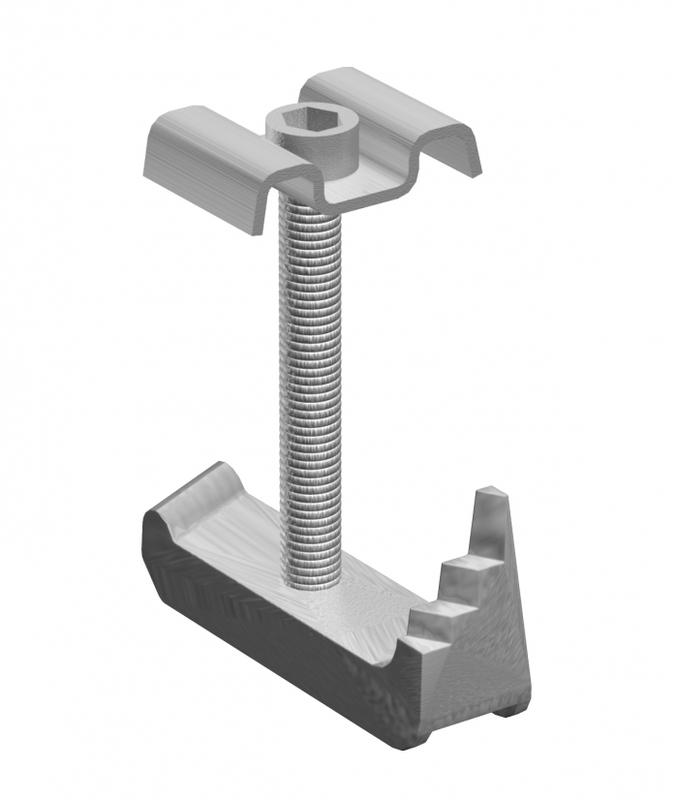 The G-Clip GM fastener consists of three parts; the stamped top, threaded stud, and the lower body assembly. The lower body assembly holds in place a 1/2? nut, making installation hassle-free. Install using a spanner wrench or an adjustable open end wrench to tighten in place. This clip eliminates the need for J-bolts. The G-Clip GM fastener can withstand 1,000 pounds of direct upward pull force with no distortions. The range of grating fasteners is available via our subsidiary company, LNA Solutions Inc based in Ann Arbor Michigan. For full technical information please visit the LNA Solutions website.